There’s nothing your copper cookware can’t do—and Copper Skillet Cooking helps you unlock all the magic of this durable, versatile nonstick pan! 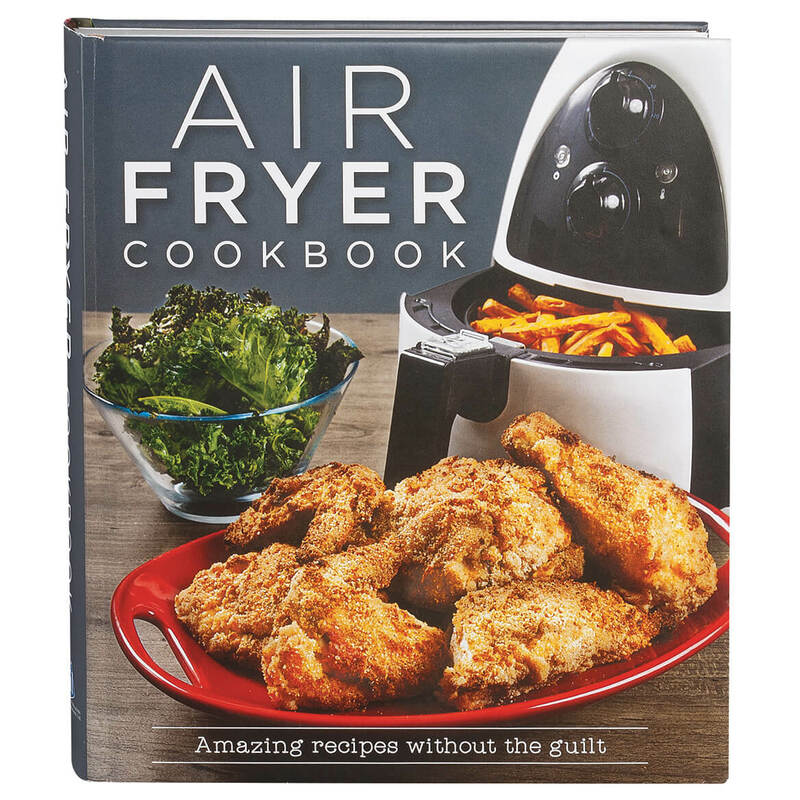 Along with tried-and-true classics like fried chicken, this recipe book teaches you how to use your skillet for searing, broiling, braising, sautéing, stir-frying, roasting and baking. 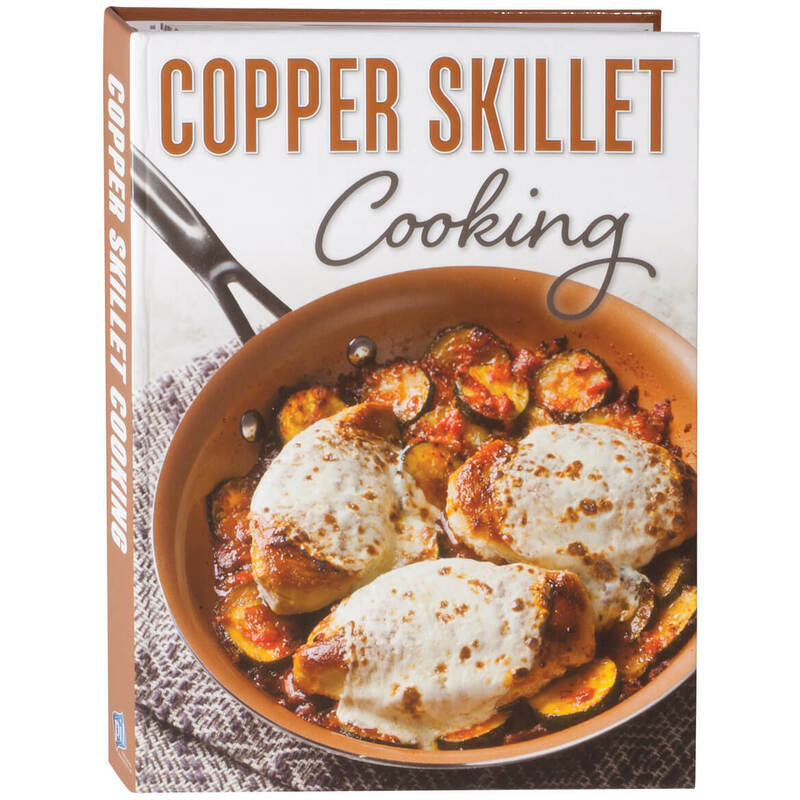 From fluffy pancakes to grilled cheese sandwiches, classic chicken parmesan, easy quesadillas, yummy skillet cookies and more, 58 recipes make it deliciously easy to enjoy your copper skillet, meal after meal! Spiral-bound hardcover book, 128 pages with full-color photos and conversion chart in back. 7″ long x 9 1/4″ wide. Dump-and-go cooking just got easier, with over 120 slow cooker recipes designed to simmer all day while you work or play! 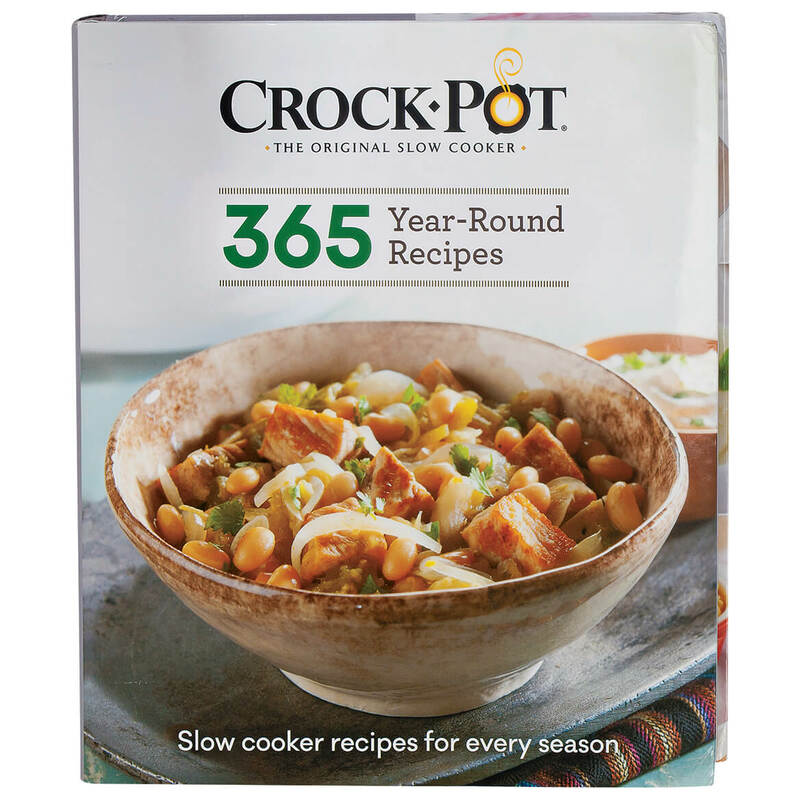 Helping you get a hot, home-cooked meal on the table in a few simple steps, this Crock-Pot® Dump Recipes cookbook offers REAL-deal ease approved by the Crock-Pot original slow cooker experts. Simply dump, slow cook … and enjoy family favorites, comforting classics, soups, stews and more. Full-color photos included. Hardcover, 192 pages. 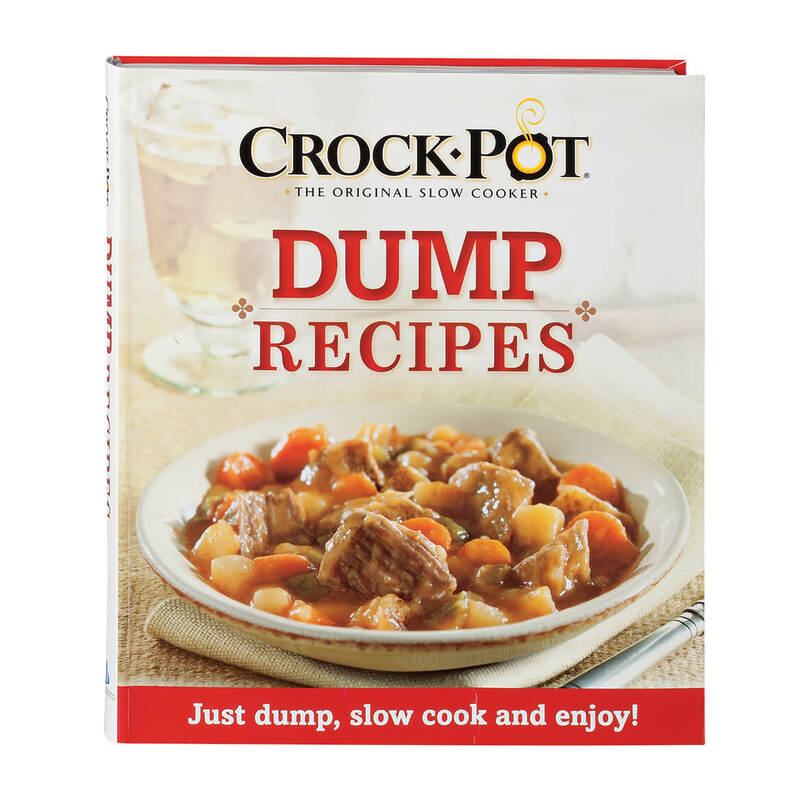 Dump cookbook measures 9 1/2″ long x 8 1/4″ wide. Taking “The Best to You Each Day” way beyond breakfast, these Kellogg’s® cookbooks let you enjoy the Kellogg’s® cereals you love at every meal! 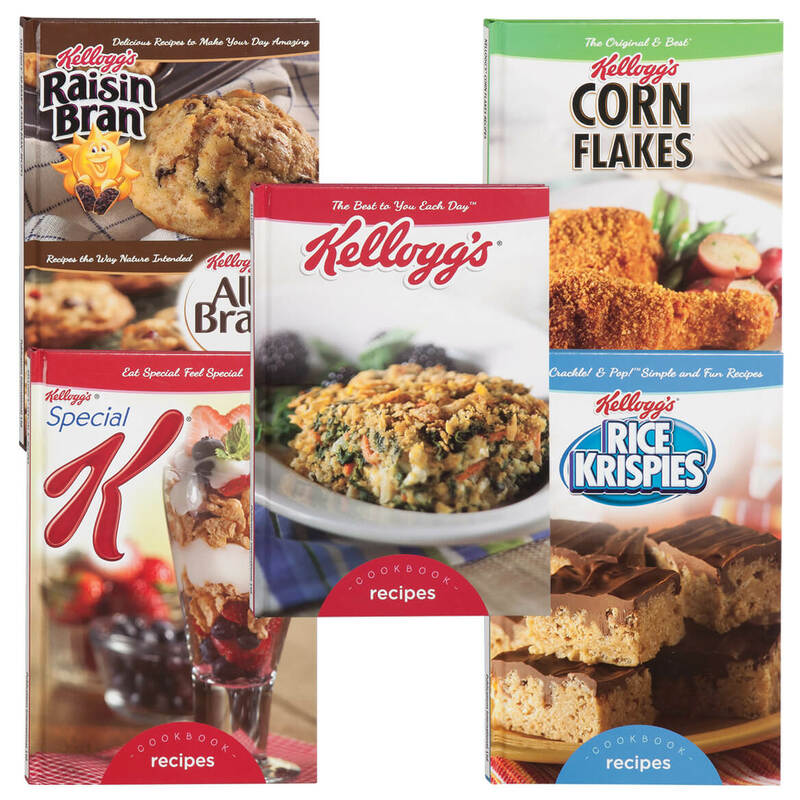 Featuring recipes for main dishes, sides, snacks, desserts and more, the set of 5 cereal cookbooks includes: Rice Krispies®, Raisin Bran & All Bran®, Corn Flakes®, Special K® and Kellogg’s®. Each book includes 14 wholesome, easy-to-follow cereal recipes, plus full-color photos and a metric conversion chart. Hardcover, 30 pages each. 9 1/4″ long x 6 1/4″ wide. 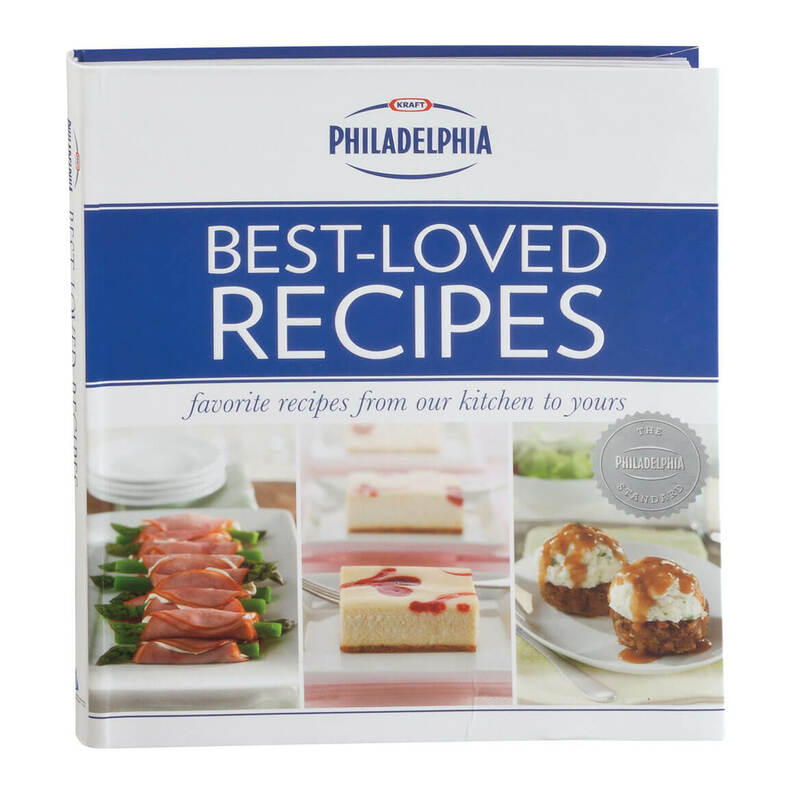 America’s #1 cream cheese, Philadelphia, boasts the ultimate creamy texture and rich taste for best-ever cheesecakes, pies, cakes, appetizers, dips, entrees and more in Philadelphia® Best Loved Recipes. 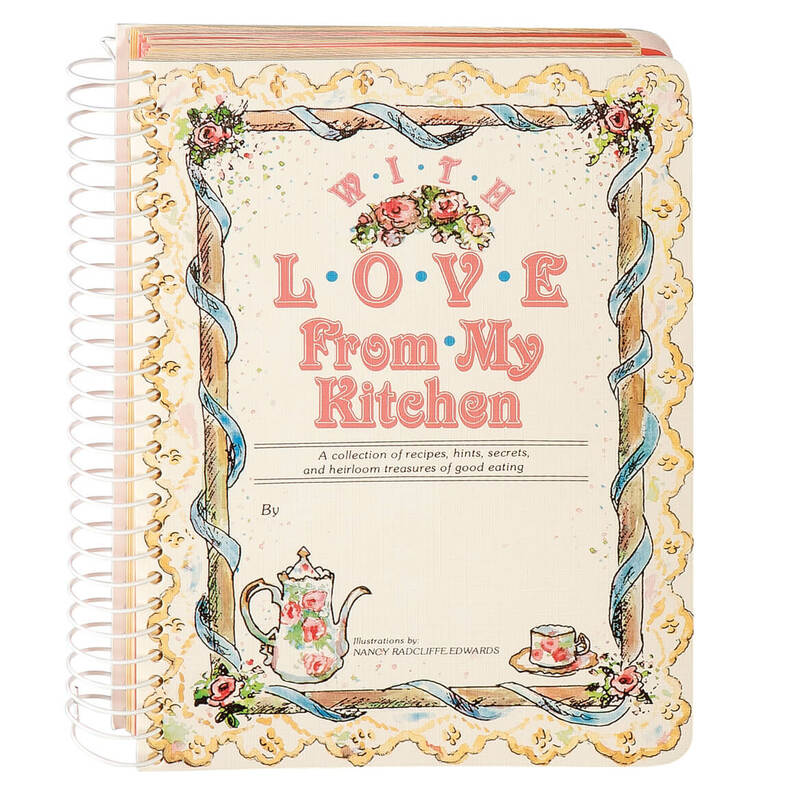 Each recipe in this “cream of the crop” cook book is a time-tested Kraft Foods favorite. Brimming with innovative ideas for entertaining, plus classic crowd-pleasing dishes and incredible desserts, each recipe is made with creamy, versatile Philadelphia Cream Cheese! Softcover book, 192 pages. 9 1/2″ long x 8 1/4″ wide. Their secrets are out—and now you can create your favorite restaurant dishes, right in your own kitchen! 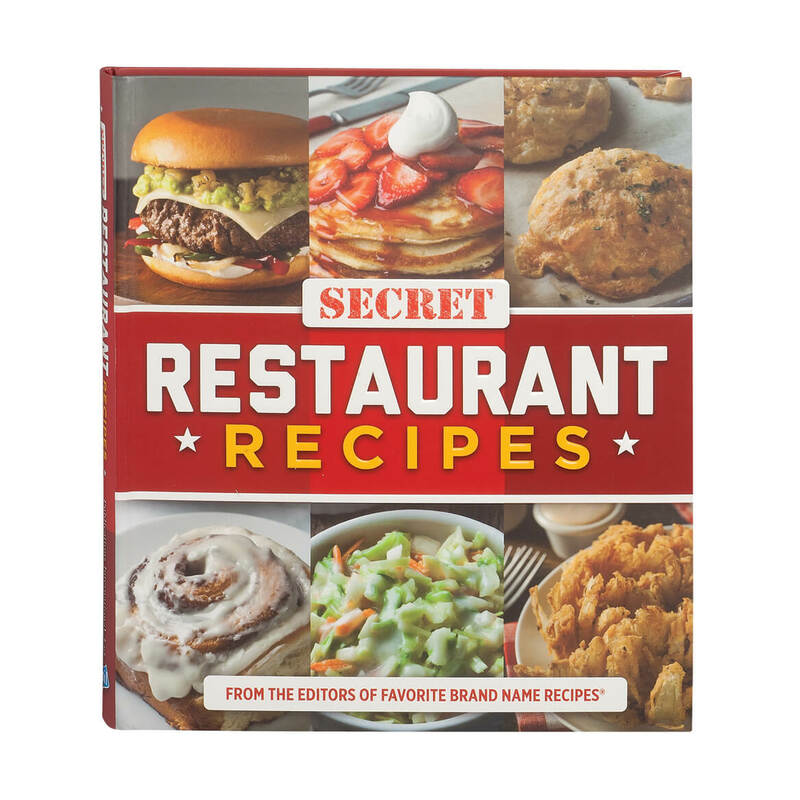 Secret Restaurant Recipes helps you discover scrumptious copycat recipes for brand name menu stars—including breakfast, brunch, beverages, appetizers, soups, salads, sandwiches, main dishes, side dishes and desserts. 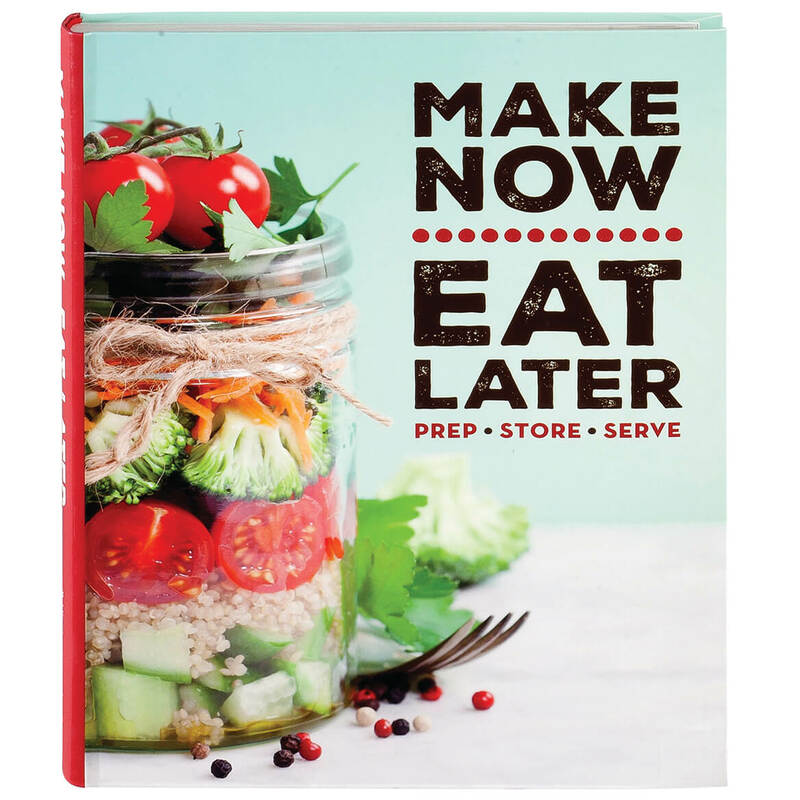 With 89 easy restaurant recipes and full-color photos, you can skip the hassle and expense of eating out, and enjoy authentic restaurant goodness, while dining in! Includes table of contents and conversion chart. Flexicover, 192 pages. 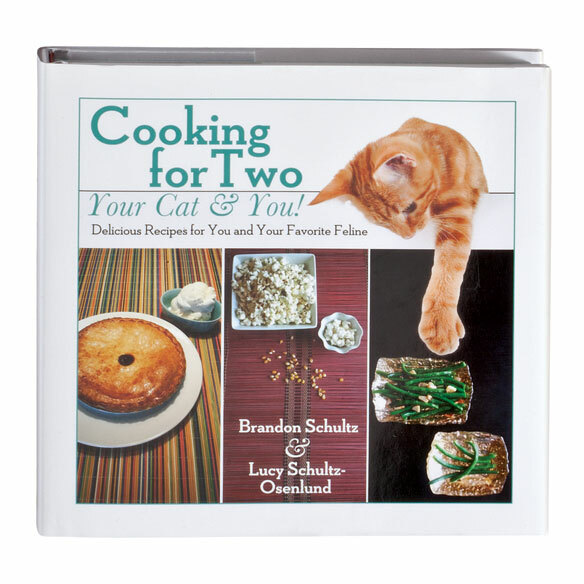 Restaurant cookbook measures 8″ x 9 1/4″.